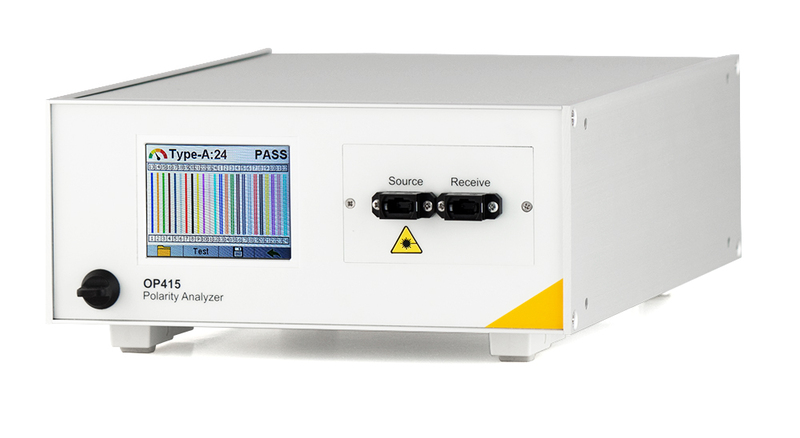 The OP415 was designed to test 24-fiber MTP®/MPO cable assemblies efficiently, but it can easily be configured for 8-fiber and 12-fiber testing. It comes pre-loaded with 12-fiber and 24-fiber polarity types A, B, and C plus the ability to create and store custom fiber mappings and channel configurations. Alternatively, the OP415 can learn polarity types from existing cables and store those for future use.